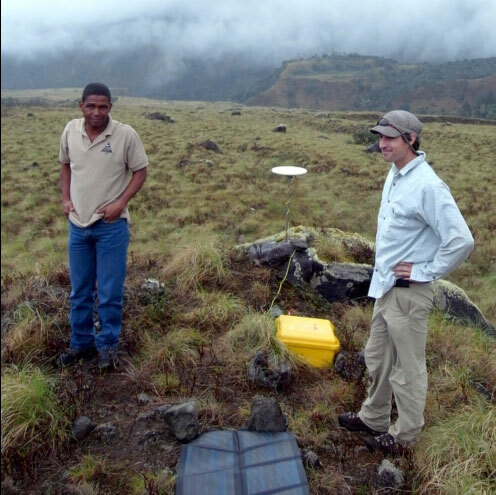 During a three week trip in May 2011, a team consisting of members from Penn State University (PSU), the Instituto de Geociencias at the Universidad de Panama (IGC), and UNAVCO constructed four permanent GPS monuments with power and telemetry systems. Additional reconnaissance for three or four new monuments was completed for a future trip. The purpose of this project is to evaluate the geodynamics of ridge collision on fore-arc deformation and strain partitioning on the Caribbean Plate and Panama block. 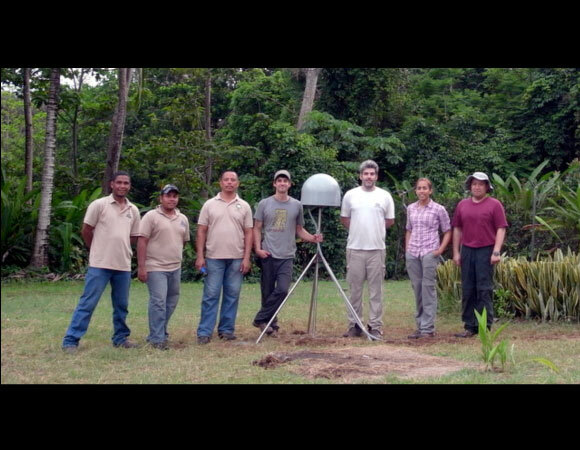 An array of permanent GPS stations were installed at various locations in Panama to collect a continuous time-series of data on ground position movements. The new stations will augment and expand an existing array of semi-continuous GPS monuments. These new data will aid in the understanding of crustal motions in Panama and also help improve assessment of earthquake hazard on active faults in Panama. Figure 2. 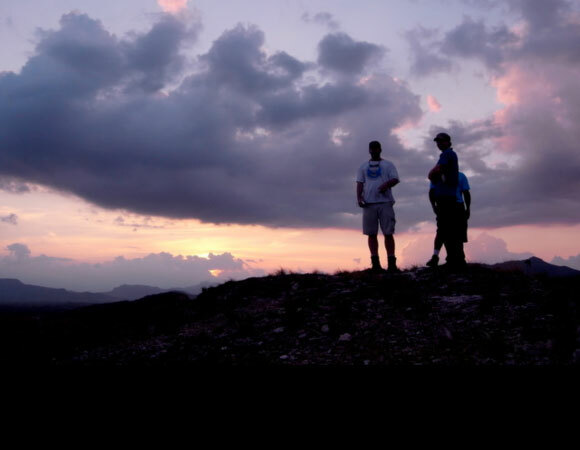 Peter LaFemina (PSU), Brendan Hodge (UNAVCO) and Arkin Tapia (IGC) discuss a potential site for a new permanent GPS station in central Panama. Photo courtesy Daisuke Kobayashi, 2011. Figure 3. 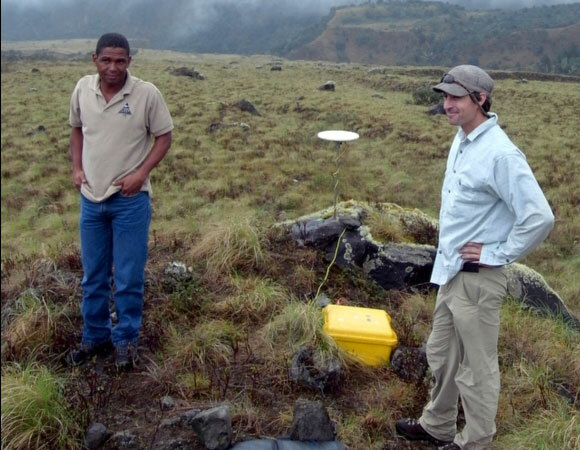 Arkin (IGC) and Brendan Hodge (UANVCO) at a semi-continuous GPS site on Volcan Baru in western Panama. Photo courtesy Daisuke Kobayashi, 2011. UNAVCO RESESS intern, Christine Chesley had the opportunity to join the crew during field work. You can read about her experiences at her RESESS blog. Over the past decade, Dr. LaFemina has worked to increase the network- this is the latest five stations in a series of decade-long effort.